The Uchikawa river, which is the water source for the outer rim of the Hakone volcanic crater, then drops sharply along a fault line to create a waterfall. This fault, separates the Hakone volcanic sediment and the Ashigara rock formation. 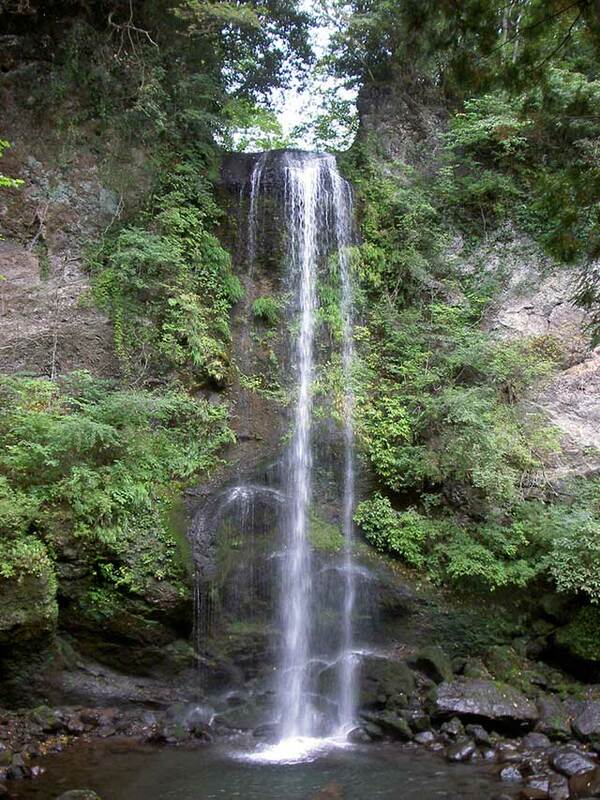 According to Japanese legend, this whole area is said to be the birthplace of folk hero Kintaro, and it is said that Kintaro first bathed in the Yuhi-no-taki Falls. Nearby, there are huge volcanic rocks(Tuff) in the shape of a helmet(Kabuto-iwa) and a drum(taiko-iwa) said to have been Kintaro's play rocks, and it is thought that these were the origin of Mt. Kintokiyama.